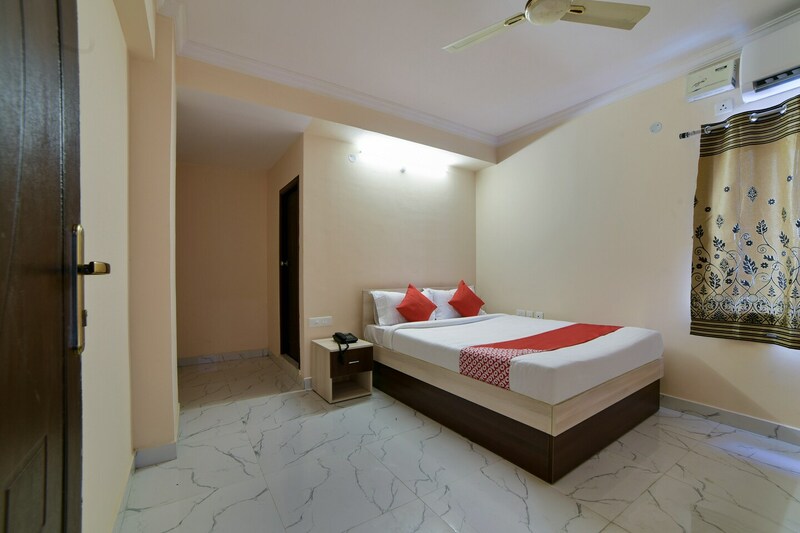 Hotel Lorgan Residency is a modern and well-maintained property with simple, cosy rooms, located in Umabagh Nampally, in Hyderabad. It is close to ISKCON Hyderabad, King Kothi Palace, St. Joseph's Cathedral, BM Birla Science Museum, and Telangana State Archaeology Museum. The hotel has neat and bright interiors, with spacious rooms that are simply and cosily furnished. They come with white walls and trendy furniture. All rooms are equipped with TV, AC, and the trendy bathrooms are fitted with geysers. CCTV security, free internet, power backup and laundry services are provided. Guests can explore nearby restaurants such as Venue - Quality Inn Residency, Sri Ganesh Tiffins, Shahi Pakwaan, Grand Spicy Bawarchi and Abids Bistro - Royalton Hotel.